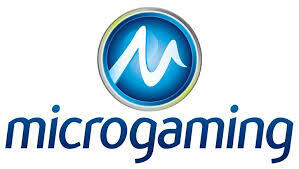 Microgaming Raises the Bar to a New Level - Table Games and More! Microgaming (MG) is ready to change the whole game. Or, at least as long as we talk about the table-games segment. In brief, the top tier content supplier agreed with Switch Studios (SS), an Ipswich-based independent company, to develop a new era of table game content. Additionally, this content will be exclusive to all of MG’s partners. In short, the British studio aims to create the most personalised gameplay possible. And they try to achieve it with dynamic features and by staying on the edge of the latest technology. The plan is to create an entirely new kind of table games. Besides that, each specific brand can customise these games to fit their very own needs. MG’s CEO John Coleman is sure the new acquisition will be a success story. “Bringing SS into the fold ensures we have a dedicated resource. And a resource for innovating and enhancing our table games offering. The team has already shown an ability for producing stylish and sophisticated games. They are highly original and entertaining,” he said about their new partner. The first release of the team is an innovative take on the most classic table game of all, Roulette. The game has a new engine and also offers new features like special bets. So, it’s no wonder it’s a favourite amongst punters. All and all the new game is optimised for mobile devices and offers a stunning 3D Roulette wheel with realistic balls. But, there’s more in the pipeline, of course. In fact, in the coming months, MG plans to launch more SS titles, starting with Blackjack. Tom David from SS believes their mobile, social and iGaming background gives them an advantage. “We want to bring innovation and style to the online table gaming sector. Our goal is to deliver the best selection of classic table games that players enjoy,” he added after inking the new deal.